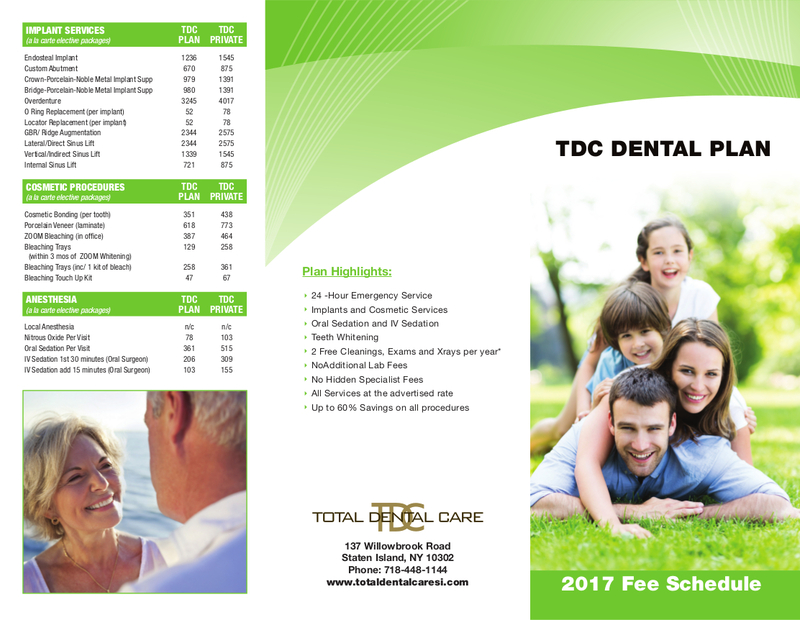 At Total Dental Care of Staten Island we understand that the rising cost of health and dental care makes it difficult to properly protect yourself and your family. More and more employers are cutting back on benefits, making it harder and more expensive to raise a family during these tough economic times. So, why not make it a little easier? The TDC Discount Plan offers affordable pricing for quality care! 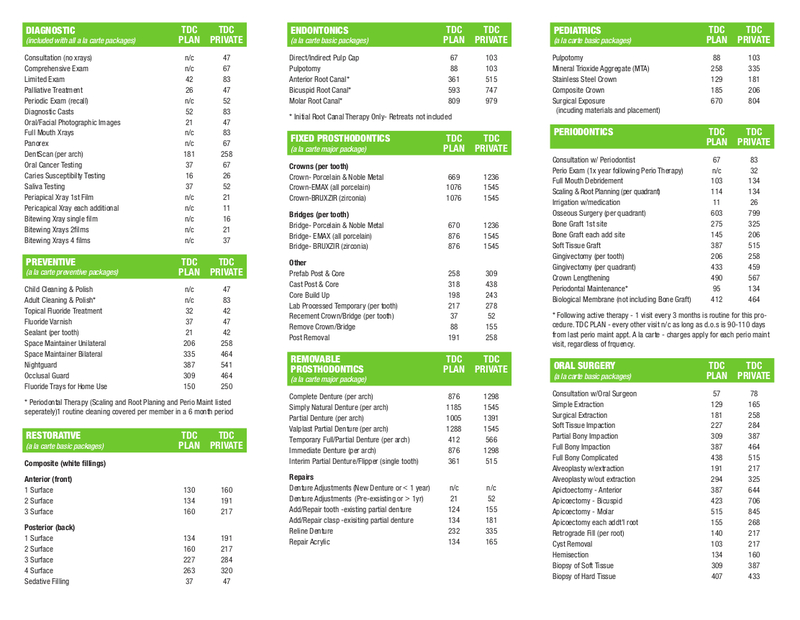 Click on the images below to view the brochure in PDF format. Note: TDC Discount Plan may not be used in conjunction with any other insurance plan or discount plan. TDC does not permit patients to switch between multiple insurance or discount plans during an active membership period whether it be for TDC Plan or another insurance/discount plan. Third Party Reimbursement Plans such as Aflac are permitted. Total Dental Care reserves the right to honor or disregard any coupons/promotions that may be used in conjunction with The TDC Discount Plan or any other Insurance/discount plan.